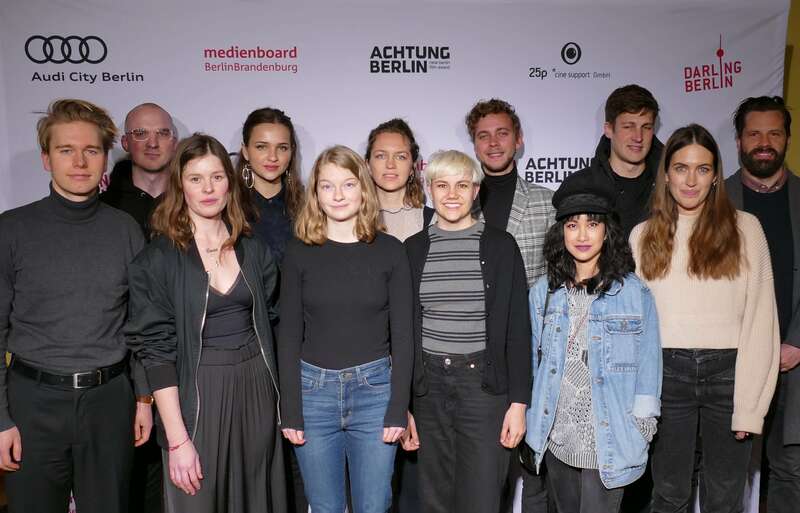 The film “Schwimmen” (English title “Swimming“) by Luzie Loose started tonight in the competition of achtung berlin – new berlin film award at the cinema Babylon-Mitte. Elisa and Anthea, both 15, get to know each other in a time of great crises in their young lives. They become best friends and develop a game in which they record everything they do with their mobile phone cameras. Soon they come up with the idea of turning the camera around and secretly filming their classmates, who had finished Elisa earlier. A good friendship develops into a destructive dynamic that becomes threatening for everyone who gets in their way. The Darling Berlin film label is bringing “Swimming” to German cinemas in late summer 2019.